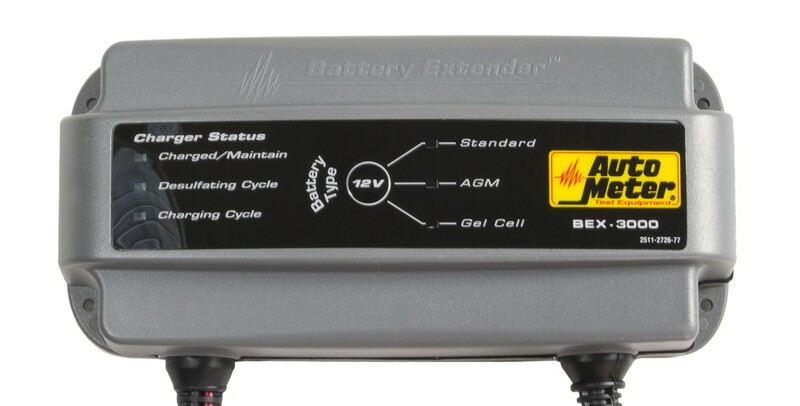 There is no greater buzzkill than getting ready for a day of boating and finding out that your battery is dead, delaying and even cancelling your plans… Now AutoMeter has your back with the latest BEX Series Battery Extenders! AutoMeter has just released the newest line of battery extenders to grace the modern boating market. 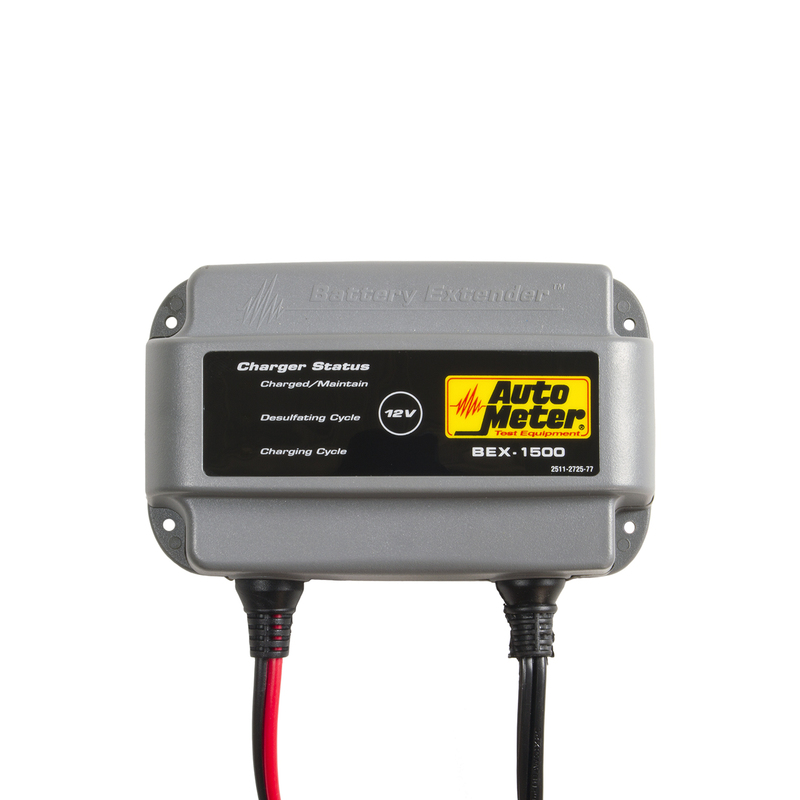 The BEX-1500 and BEX-3000 are the latest fully automated smart chargers that keep your electrical system and all related components in peak condition all year long. Easy to use, ruggedized, and water resistant, all you need to do is simply bring the charger to the source without removing your battery and connect the leads! Compatible will almost all battery types, the BEX Series is your go-to battery extender. No ifs, ands, or buts. 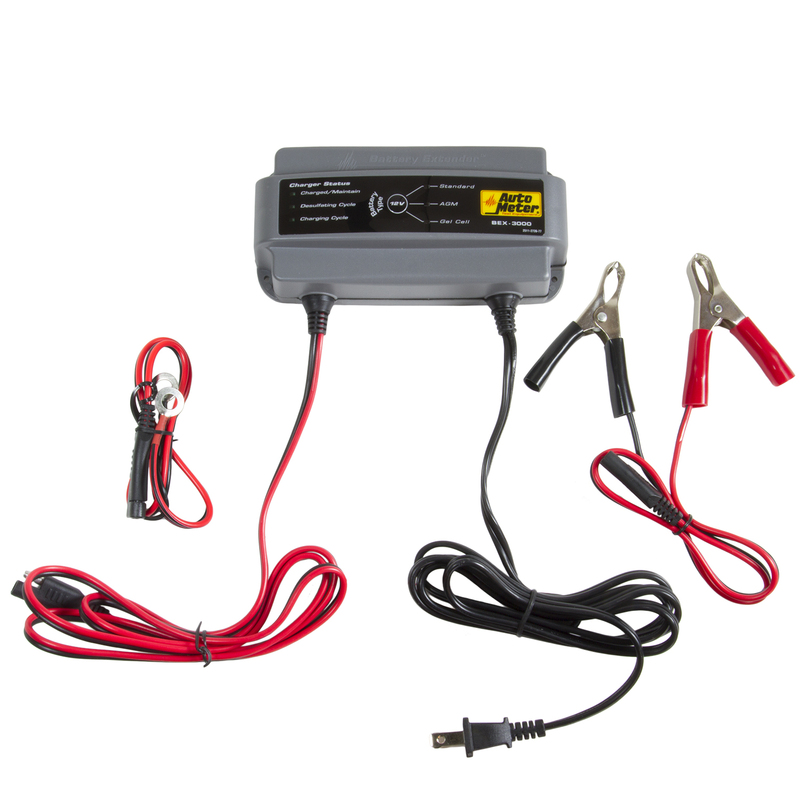 The BEX series chargers are fully equipped with sophisticated circuitry that will safely charge and maintain batteries without overcharging and desulphate worn cells. Spark Free Connection and Reverse Polarity Protection. 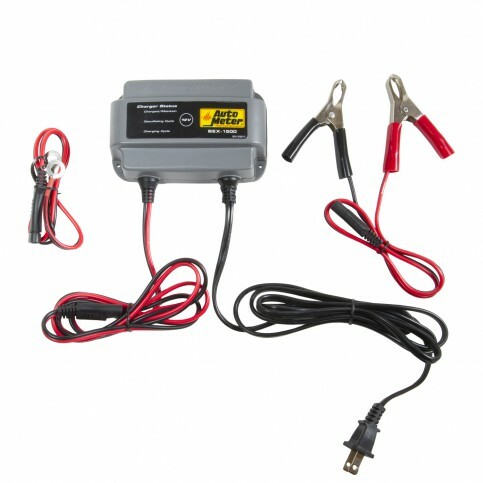 The BEX series chargers are versatile battery chargers with a compact ruggedized composite shell that makes them safe to set and forget on all of your household vehicles. Perfect for any motorcycle, boat, snowmobile, car, truck, RV, and lawn mower.